The symptoms of inattention, distractibility and/or hyperactivity that define attention-deficit/hyperactivity disorder (ADHD) improve when treated with the stimulant drug Ritalin. For long-term success, however, the behaviors associated with these symptoms can also addressed with different techniques, some of which have been described in Chapter 2. These two different types of treatments point to two different causes for ADHD. The improvement observed when taking a chemical substance seems to indicate that ADHD has a biological cause. However, improvement by behavioral modification techniques suggests that ADHD may have an environmental cause. The prevalent theory among both health professionals and the general public today is that the symptoms of ADHD have a biological cause. The most generally cited causes are birth defects, an infant trauma, and the brain's inability to produce enough of specific neurotransmitters, or brain chemical messengers. The widespread use of expressions such as "He has a chemical imbalance" or "Her brain is hard-wired this way" when talking about children considered to have ADHD reinforces this belief. Although the lingo may be new, the theory of a biological cause for ADHD-like behavior is more than 100 years old. In 1902, the British physician George Still attributed the aggressive and defiant behavior of the children he was studying to either a genetic cause or some birth-related injury. Brain damage was also thought to be the cause of the behavioral problems experienced by the children who had survived the encephalitis outbreak of 1917-1918. As late as the 1950s, symptoms similar to the ones now included in ADHD were grouped under the term minimal brain damage. This physiological brain damage was never found, and eventually the term was abandoned. The search for a biological cause for ADHD, however, was not. Although there is evidence that ADHD is hereditary, it has proven difficult to separate the effects of genetic inheritance from those of family environment. The only data pointing to a genetic component for ADHD have been compiled when working with identical twins. These studies found that it was more likely for identical twins to meet ADHD criteria than it was for fraternal twins. Since, by definition, identical twins have the same genetic material, this indicated that at least part of the ADHD condition is genetic. Yet the probability for one identical twin to have ADHD if the other had it was less than one in three. Moreover, to date, no specific gene for ADHD behavior has been identified. Using different techniques of brain imaging, several groups of researchers have looked for differences between the brains of ADHD and non-ADHD individuals. In one of the best-known studies, Alan Zametkin and his colleagues at the National Institute of Mental Health used positron emission tomography (PET) scanning to evaluate glucose metabolism in the brain. Because glucose is the only source of energy for the brain, the way the brain uses glucose can serve as a gross indicator of activity in its various parts. For the studies, patients were given radioactive glucose. Because of the high level of radiation associated with this technique, the studies were not done on children but on adults thought to have suffered from ADHD as children. The results, published in the New England Journal of Medicine in 1990, showed a 8.1% decrease in brain metabolism, meaning that glucose was underutilized, in the group who had ADHD as children compared with those who did not.11 This difference in the rate of metabolism led scientists to the conclusion that they had located a biological cause for ADHD. Magazines and newspapers embraced this conclusion eagerly. After all, how can you argue with a brain scan? Time magazine, in an article called "Why Junior Won't Sit Still," noted that in a "landmark study that could help put to rest decades of confusion and controversy, researchers at the NIMW have traced ADD ... to a specific metabolic abnormality in the brain. "12 The New York Times, Washington Post, and Newsweek joined in the reporting of this apparent breakthrough. Despite the buzz, not everyone was convinced that the results proved that ADHD has a biological basis. First, efforts to replicate these findings have failed. Second, the participants were adults, not children, which limits the applicability. Third, there is no evidence that an 8.1% difference in brain metabolism produces a significant difference in behavior, including hyperactivity. In fact, this difference in metabolism did not correlate with performance on an attention task. Fourth, 72% of participants in the hyperactive group were men, compared with the control group, which was only 56%. When another group of researchers compared the metabolism of men and women in the control group of the Zametkin study, they found the statistical difference to be the same as the one they had found between the control and the hyperactive groups. This means that the difference between the hyperactive and control group in Zametkin's study could be the result of the hyperactive group having a larger percentage of males. Finally, even if the difference in brain metabolism between the two groups were real, this does not mean the decreased metabolism is the cause of the hyperactivity. In 1993, Zametkin and colleagues published a follow-up study in which they performed PET scanning to measure glucose metabolism in the brains of ADHD and non-ADHD adolescents. This time, they found no difference between the brains of the ADHD adolescents and the non-ADHD adolescents. In a later study, they looked at the glucose metabolism in the brain of ADHD individuals before and after taking Ritalin. The idea was that if ADHD symptoms are caused by a decrease on glucose metabolism and Ritalin improves ADHD symptoms (their hypothesis), then taking Ritalin would increase glucose metabolism. Again, their results failed to show any change. Two Californian physicians, Daniel Amen and Blake Carmichael, have used another radiological technique— single photon emission computed tomography (SPECT) scanning—on more than 2,000 patients, including adolescents and children. This process, which uses less radiation than PET, detects variation in blood flow (and indirectly detects biochemical activity) in the brain. These researchers claim there is a correlation between ADHD and decreased blood flow in the tissues of the prefrontal cortex (Figure 3.1). Although other experts have criticized the lack of reproducibility of this study, Amen believes the scanning is evidence of the biological nature of ADHD and uses it to diagnose ADHD. In the book The Music of Dolphins, Karen Hesse tells the story of a girl raised by dolphins from the age of four. Rescued as a teenager, she is taught how to talk and behave like a human. Although she progresses to a point where she is able to communicate, she cannot become fully integrated into a society she still perceives as alien. Figure 3.1 Although no biological cause has yet been found for ADHD, some scientists have offered studies using PET and SPECT scans that may demonstrate a link between ADHD-type behavior and decreased blood flow in the prefrontal cortex of the brain. This diagram of the brain shows the cerebral cortex—the area that some researchers posit may be connected to ADHD. the proper stimuli while growing up, her brain did not develop to its full potential. As Daniel Goleman writes in his book Emotional Intelligence, there is increasing evidence that to develop in a healthy way, a child's brain needs real-life experiences. The experiences after birth, rather than something innate, determine the actual "wiring" of the human brain. "Wiring" refers here to the connection the neurons (brain cells) make with one another (Figure 3.2). If we consider that the human brain is composed of about 10 to 100 billion neurons, and that these neurons make thousands of connections with other neurons, we come up with a web of billions of connections. These connections, however, are not present in the newborn baby's brain. In the newborn's brain, about 4.7 million branches grow out from neuron to neuron every minute. Although the genome has a role in this complex process, it is the moment-to-moment experience of the child that determines which connections will remain and which will be cut. Many examples suggest this plasticity. For example, if a child with a lazy eye covers the healthy eye, eventually the vision in the weaker eye improves because the neurons grow new connections to reinforce the path to the weaker eye. A child born in China learns to speak Chinese, while the same child raised in England would learn to speak English. Although every child growing up in Spain knows how to roll the "r," it is difficult for an adult nonnative speaker to learn to do so. If environmental influences can actually alter brain functions and shape behavior, it is not surprising that many people believe a child's early experiences have an effect on whether he or she develops ADHD. In other words, some experts contend that the environment can cause or change ADHD. 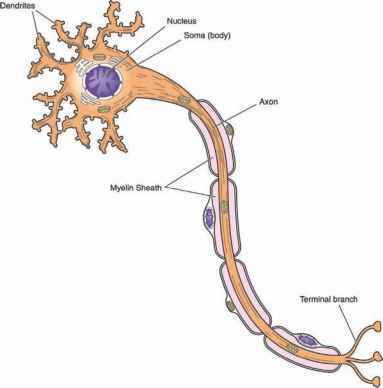 Figure 3.2 This diagram of a neuron shows the complex structure that allows signals to travel back and forth between the brain and the nerves of the body. The human brain is made up of billions of these neurons. Scientists who believe ADHD may have a biological cause are researching possible links between connections between neurons and the behavioral problems that are associated with the condition. 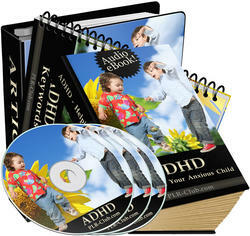 If the biological cause for the ADHD behavior is accepted, the use of medication as a "cure" easily follows. 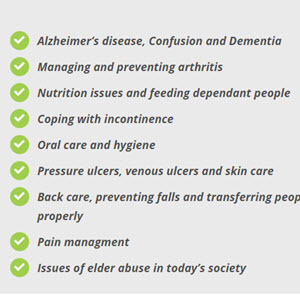 If, on the other hand, emotional or relational problems are considered the cause, medication is no longer the simple cure, and the techniques offered for improvement (psychological and social approaches) are longer and more time-consuming. The biological cause model remains popular because a solution in pill form is appealing and because accepting a biological cause removes blame from parents. Yet to believe only in a genetic and neurological cause for the disorder would entail ignoring many environmental factors, such as learning disabilities, emotional problems, family dynamics, classroom size, and economic and cultural issues, which may also be of significance in the development of ADHD. Lawrence Diller believes that neither the genetic model nor the environment model alone provides the whole picture for ADHD. Instead, he argues that a "biopsychosocial model," in which several factors—including a person's biology, emotional status, and environment interact—provides a better solution. In this model, the path between the mind and the body is seen as a two-way street: The brain affects emotions and behavior and, in turn, the brain is affected by the person's experiences. After all, although everyone is born with a basic personality, it is the experiences an individual has while growing up that will shape him or her into the kind of person he or she will become. Regardless of what causes ADHD, the behavior of a person with ADHD improves in the short term after taking a stimulant drug such as Ritalin. Ritalin also improves concentration, increases attention span, and lowers the activity level both in individuals with ADHD and without. On the other hand, Ritalin may cause several adverse drug reactions, from growth inhibition to psychosis. by stimulants are shown in Figure 3.1 on page 43. Table 3.1 summarizes the effect of stimulants in various areas of the brain. On a physiological level, Ritalin causes a 23 to 30% decrease of the overall blood flow in all areas of the human brain, as measured by a PET scan. This reduction is believed to be caused by a constriction of the blood vessels, probably related to Ritalin's impact on the neurotransmitter dopamine. Ritalin also has a significant effect on glucose metabolism in the brain. As noted previously, since glucose is the only source of energy in the brain, its metabolism is directly related to the brain's overall energy consumption. At the lowest dosage, Ritalin increases energy consumption in many areas of the brain that are central to motor activity and mental function. Most of these areas are dopamine pathways. Other studies suggest that in the long term, Ritalin may also cause cortical atrophy, which refers to the withering and shrinking of brain tissue. This finding poses great concern, since the cortex of the brain is critical to higher mental function, including intelligence. The brain is composed of cells called neurons. Unlike other cells in the body, neurons do not touch each other. The connection between any two neurons is made through neuro-transmitters, chemicals that act as messengers. Neurotransmitters are very small molecules. They are released from the tip of the neuron extension, or axon, into the space (called a synapse) that separates individual neurons (Figure 3.3). As a result, electrical impulses travel down the neuron membranes. Once neurotransmitters are released, they travel through the synapse until they are picked up by receptors in the neighboring cells. Some neurotransmitters decrease (inhibit) activity, while others increase (excite) activity of the neuron to which they bind. Any particular neuron may be surrounded by thousands of others that are, at any given moment, releasing neurotransmitters. The neuron must weigh the relative strengths of the inhibitory and excitatory signals of these neurotransmitters to determine when a signal should be sent down its axon. Figure 3.3 Ritalin works by affecting the communication between neurons and the neurotransmitters serotonin, dopamine, and norepinephrine. Ritalin and other stimulants increase the number of neurotransmitters released into the synapses (the spaces between individual neurons) and help keep the neurotransmitters in the synapse longer than they would remain without the drugs. This diagram demonstrates the flow of neurotransmitters between neurons, across a synapse. 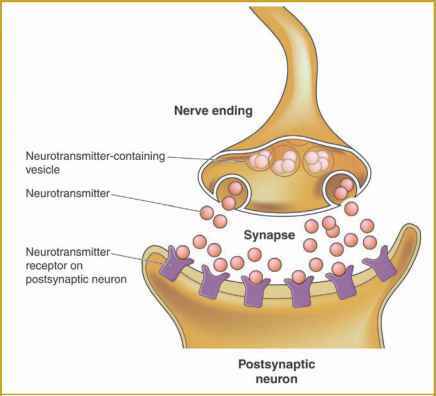 in the synapses and by reducing the rate of their removal, so that the neurotransmitters stay in the synaptic space longer. Different neurons synthesize and release different neuro-transmitters into the synapses. Ritalin and other stimulants interact with the neurons that produce and respond to the neurotransmitters dopamine, norepinephrine, and serotonin. The activation of the dopamine pathways in the brain, researchers believe, produces the therapeutic effect of suppressing spontaneity as well as the most serious adverse effects of drug abuse and addiction. These effects occur because the neurons that release dopamine originate in two areas deep within the brain: the substantia nigra and the ventral tegmentum. Dopamine neurons in the substantia nigra reach into the basal ganglia, which control motor activity and influence mental processes. 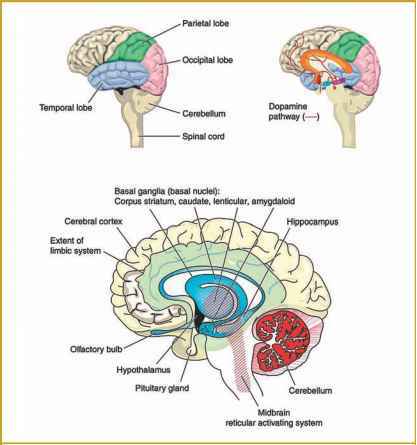 These ganglia are connected to the reticular activating system that is the energizing core of the brain and the limbic system that regulates emotions. Dopamine neurons from the ventral tegmentum go directly to the centers of the brain that control thinking and feeling, including the frontal lobes and limbic system. The dopamine system thus affects portions of the brain involved with the processes most essential to being human. Dopamine neurons also go to the hypothalamus and pituitary glands. There, they control the hormonal processes involved in growth and reproductive functioning. Ritalin also stimulates neurons that release norepinephrine into the synapse. 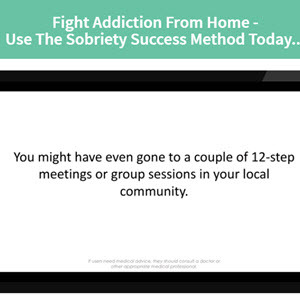 This is believed to result in overactivity of the cardiovascular system and some symptoms of drug withdrawal. Most of the norepinephrine-generating neurons originate in the locus coeruleus of the brain. This locus is connected to the cerebral cortex and the reticular activating system. By increasing the activity of the neurotransmitter serotonin, Ritalin affects both higher human activities and basic physiological functions. In fact, increasing serotonin levels affects every brain function described in Table 3.1 on page 47. Some researchers believe that Ritalin produces more extreme mental aberrations, including psychosis and delusions, by affecting the serotonin pathways in the brain. The relationship between Ritalin and the overall mental function of the brain is far from being well understood. Dopamine, norepinephrine, and serotonin—the neurotransmitters known to be affected by Ritalin—are only three of the hundreds of substances that control brain functioning. 1. The neuron releasing the neurotransmitter receives feedback signals that cause it to shut down, causing less neurotransmitter to be released into the synaptic space. 2. The neuron receiving the neurotransmitter tries to reduce the amount of stimuli by destroying the receptors that bind to that particular neurotransmitter. The disappearance of the receptors has actually been measured in experiments with animals. Sometimes, these compensatory changes in the brain become permanent, causing irreversible malfunction. In summary, although its advocates claim that Ritalin corrects an imbalance in the brain or enhances brain function, the reality is not so simple. The only thing certain is that Ritalin, like any external substance that reaches the brain, has a high probability of disrupting the normal mental process in unexpected ways.